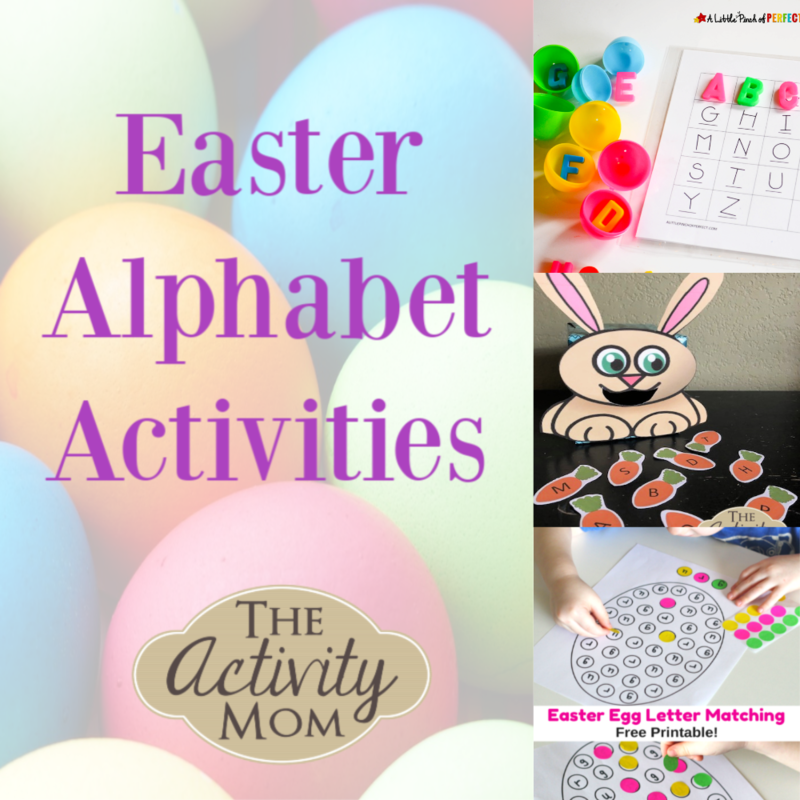 This collection of Easter Alphabet Activities is sure to be a hit as you explore letters with your little ones this time of year. I love the simplicity of this activity! 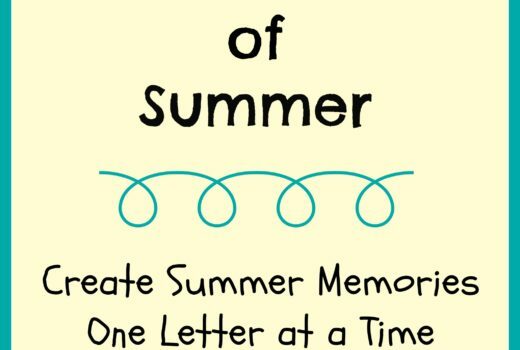 Make your own or download the free printable from Fun Learning from Kids. You could also use do a dot markers instead of stickers. Another twist would be to write lowercase letters on the egg, but then capital letters to match on the stickers. Any activity with stickers is great fine motor work for little learners! These free, printable Peeps Themed Learning Activities are adorable and easy to print and play. 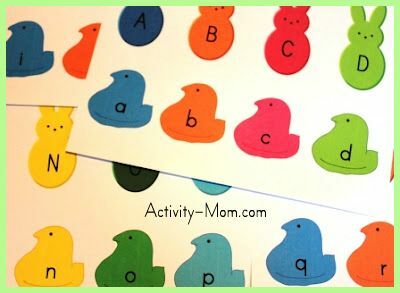 Use them for matching, spelling words, or for letter identification as you hide and find the peeps. 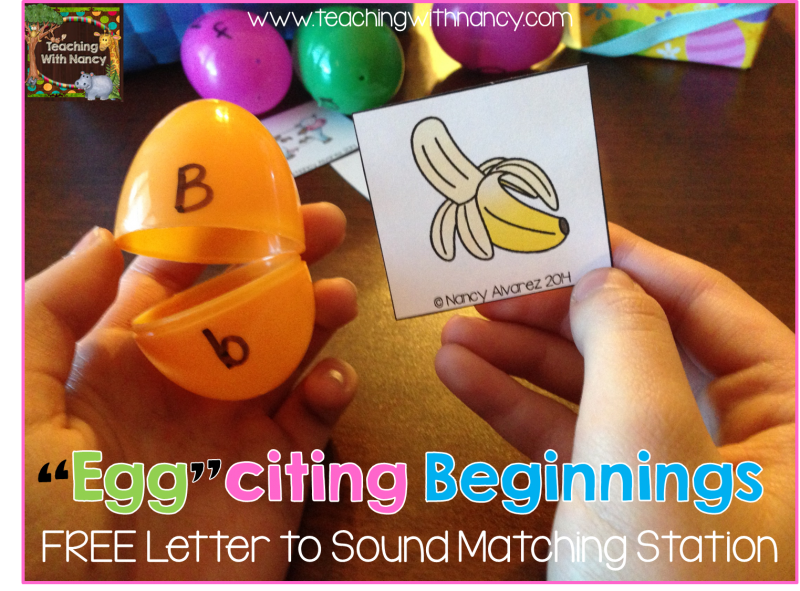 Teaching with Nancy has these free, printable beginning letter sound pictures to match with plastic Easter eggs. I love this idea! The way she put the capital and lowercase letters on each egg is a great way to introduce or reinforce children to lowercase letters. This type of egg hunt can be done all month long! 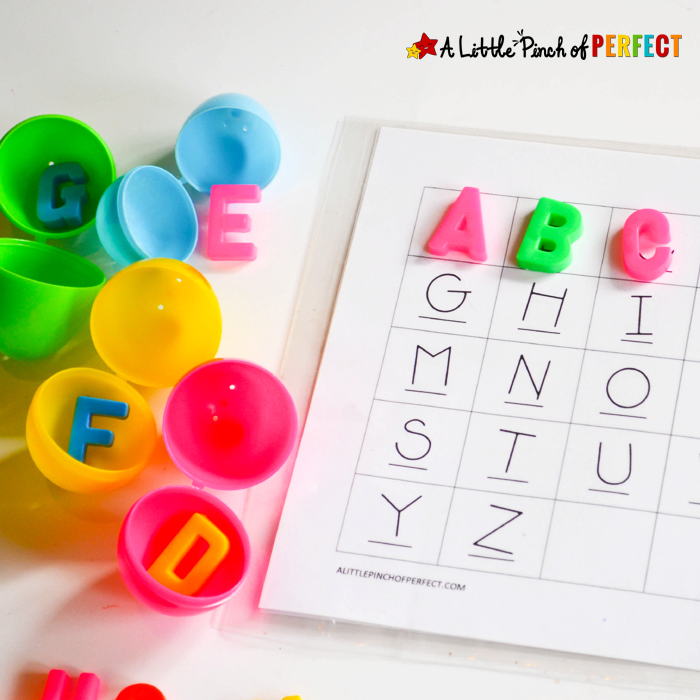 A Little Pinch of Perfect uses this free, printable letter mat to create an alphabet hunt. Kids always love an egg hunt and this one can be done at any time of the year. There’s just something exciting about finding an egg and opening it up to see what’s inside. 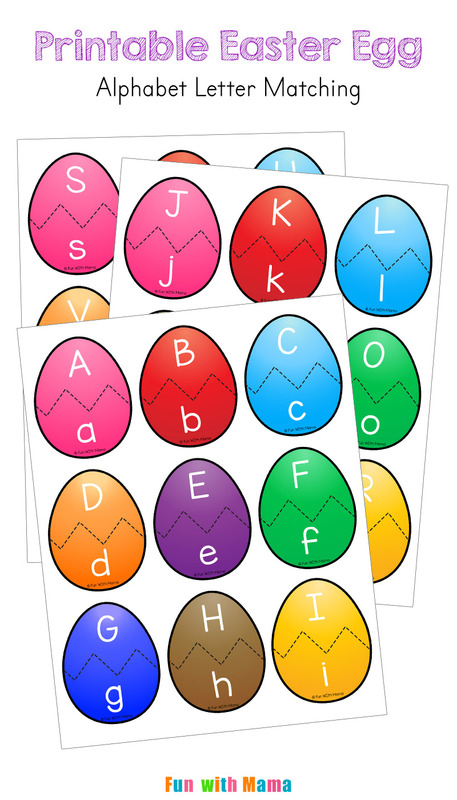 Kindergarten Worksheets and Games has these free, printable Easter phonics eggs to practice beginning letter sounds. I like that these eggs are cut in different ways to serve as a way to self check. 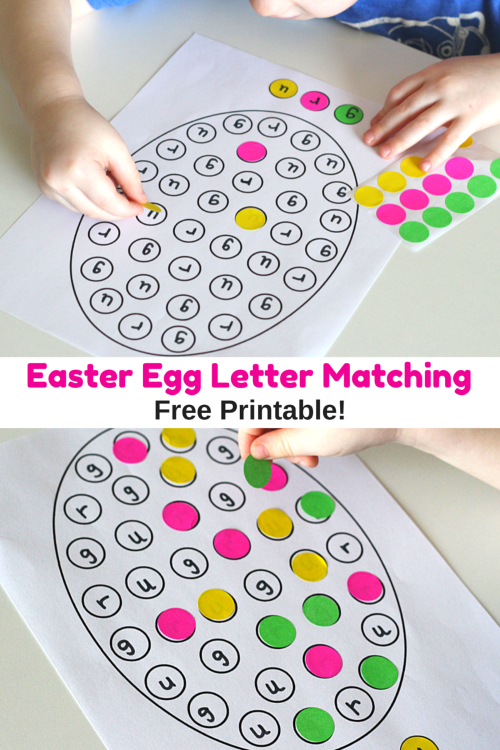 These free, printable Easter egg puzzles are perfect from Fun with Mama! The colors can be used as clues for those young children just starting to explore the alphabet. 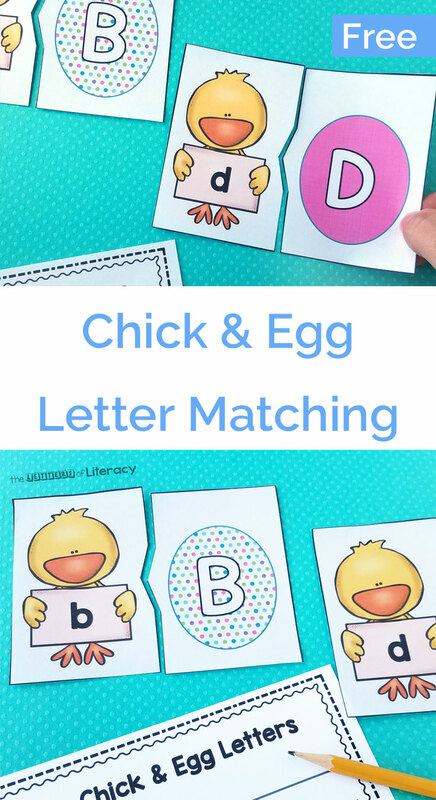 The Letters of Literacy offers this free, printable chick and egg letter matching activity. This is a great way to work with matching capital and lowercase letters and those chicks are just too cute! 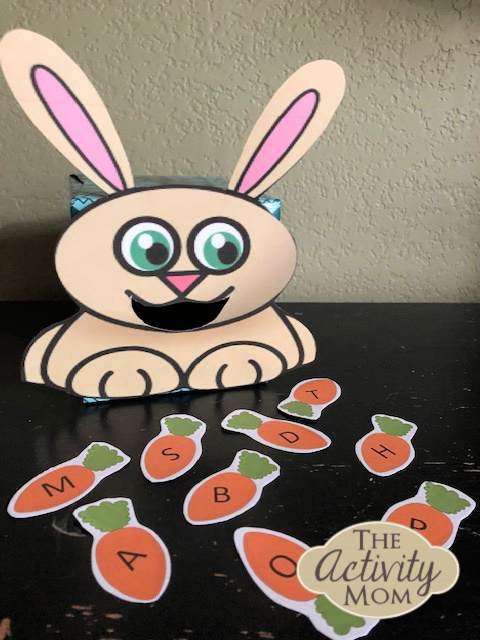 Your kids will love this free, printable Feed the Bunny Alphabet Game. You can use letter magnets instead of printing out the carrots. You can also use this game to practice other concepts like fine motor skills, colors, numbers, words, etc. We hope this collection of Easter Alphabet Activities inspired you as much as it did us. Happy Learning!